The future of home security is not as clear-cut as some would think, but there are a few indicators that it will be a promising one. Chief among these benchmarks are smart lock technology. Smart locks seek to revolutionize the way home security is viewed. Home security casts a wide net, and there are many things that come together to make home security work efficiently. Smart lock manufacturers are targeting key aspects of home security in the hopes of creating a future where security is seamless, convenient, and efficient. Here are five ways smart locks are shaping the future of home security. Many of the smart lock models on the market today, boast the feature of remote connectivity. This gives homeowners the option of operating their locks from remote locations. The addition of this feature to locks is changing the playing field, adding convenience along with security. Home security is meant to keep a homeowner and their families safe and this is the way it has always been, but the future seeks to perform this same action with an added layer of efficiency and convenience. Many smart locks are integrated with a homeowners network similar to IP surveillance cameras and webcams. Some of these locks function by detecting Bluetooth signals from a smartphone or the signals emitted by a RFID (radio frequency identification) chip in key fobs. This makes it easier for homeowners to open their doors once they get home. It also helps negate the use of keys, which in turn, reduces the number of lockouts that are key related. 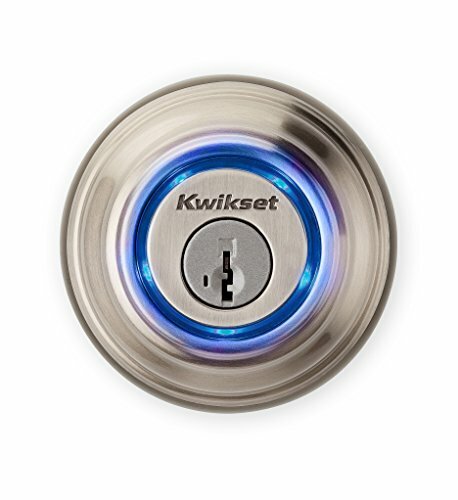 These new locks, like the Kwikset Kevo smart lock shown here, also provide an added layer of security for many. The best example is when you leave home and forget to lock your door on your way to out. Now you can remotely access your door locks, and make sure that your home is secure from your office or an airport. Another feature of smart locks that's breaking ground, is their ability to offer enhanced notification. Every homeowner would love to know if an intruder was in their home or if they forgot to lock their doors. The smart lock industry aims to give homeowners this option with locks such as the August Smart Lock or the Kevo Smart Lock. Here's what the best smart locks look like and the systems they integrate with (get more details at PCMag.com, The Best Smart Locks of 2017). These smart locks are able to notify homeowners when they have left a door unlocked or if someone is attempting to bypass the lock. This gives homeowners the advantage against burglars breaking into their home. In scenarios like this, even a split second could change the way things play out, so having a lock that notifies you is essential to your home security. Many of these locks give you options for notification, from sending messages straight to your smart phone, or by otherwise sounding an alarm. Wouldn’t it be amazing to have a lock that could record and stream a video of whoever was at your door? Thanks to some smart locks, homeowners no longer have to look at “Back to the Future” for a futuristic gadget like this. Smart locks are cutting out an entirely new territory for themselves with locks that give you the luxury of seeing who is on the other side of the door. This comes in handy as a futuristic peephole, but also works well in the event that someone breaks into your home and runs away before the police get there. These kinds of locks double as mini surveillance cameras, and they help homeowners cast a wider net of security around their homes. 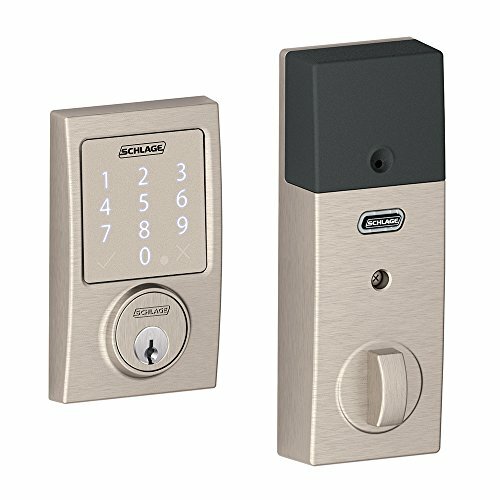 Smart locks that have this feature work well with automated doorbells, like the Kwikset Kevo shown above. By integrating multiple devices, homeowners gain complete control of their homes with the press of a button on their smartphones. For instance, if a burglar were to bypass your smart lock, the lock is able to transmit the data to your IP surveillance camera or home alarm system. This in turn, would trigger an alarm while simultaneously streaming footage from the surveillance camera to your phone. Integrating smart home technology with smart locks opens up a new path for home security and it is one that is gradually moving away from traditional locks and keys. One area where home security has been lagging is data tracking. When I say data, in this context, I am referring to the number people that have access to your home keys, the number of home keys you have, or the number of people that you have coming through your door each and every day. This kind of information is invaluable to homeowners when they are assessing their home security. Before the introduction of smart locks, this data was falling through the cracks, and not being put to meaningful use. Now this tracking information is an integral part of the way these locks function. Several smart lock models allow you to grant temporary keys to your house guests, and give you the ability to keep track of who has a key at any given time. This makes it much easier to track someone down if the need arises. Also, since these keys are temporary, it allows you to still have master control over your key system while simultaneously being a gracious host. Human nature dictates that things constantly change over time, and this is certainly true with respect to your home's security. Technology is having a significant affect on the industry, and we know traditional locks and keys won't dominate forever. Smart locks are the next stage of a futuristic home security, and it isn't too far away. Like anything new, there are some kinks that need to be worked out before smart locks will be wholly accessible to all homeowners. And the changes involve more than locks. It's about home automation, and many different types of devices sharing connectivity and talking to each other, from locks, to lighting, music and so much more. It's an exciting time for all of us, learning how technology is shaping the future of home security and we're as excited as you, to see where it will be taken next. This article was contributed by Ralph Goodman, an expert locksmith and the resident writer on locks and security over at the Lock Blog. It's a great resource to learn about keys, locks and other home safety tips written for homeowners, locksmiths, and security professionals. I would also love to try smart locks although it might be expensive. It is a lot more secure that the usual locks offered in the market today. Claire, I agree their are benefits to smart locks, as long as we take time to understand the trade-offs being made. We have to try to be one step ahead of these crooks. Love these emerging technologies. It sounds convenient to have especially if you live alone of if there’s no one home during the day. It’s definitely going to put your mind at ease. Wow this is cool! Am all about security and safety regardless is we pay extra. As a busy mother, I can definitely see the benefits of this type of technology and security for my family’s home. Certainly something for us to look into! Yes, I’m rather curious as to how these locks will allow parents to keep tabs on where their kids are so I invite you to share your experience in the future. I will definitely invest in one of these smart locks, so that I can monitor my home whenever I am away. Great & I’d love to hear how you end up using the smart locks. It amazes me how much technology is changing. There is so much we can do now that we couldn’t do before. I like that you’re able to lock your home and also monitor it while you’re away. I think this is a great feature to have for people, especially since there are so many issues with home invasion and other safety issues. It’s good to know about this technology. It’s helping us live in a modern world where mobile phones control almost everything. Maria, I think some of these products are useful & at the same time I worry that too many people will buy them without thinking through the good & the bad, as there are always multiple views. Thank you! I am going to look into this. Our security system is a little dated. We’ve been thinking about upgrading it. This technology is amazing. Although I’d love smart locks myself, my parents live in a neighborhood where break-ins are increasing and I worry for them. They NEED this ASAP! This is something my husband and I have been talking about. Smart locks are definitely one of the things we’re considering. 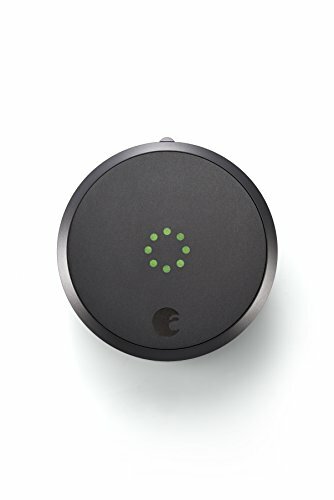 I would LOVE smart locks on my house. I think it;s amazing that this technology is available now.